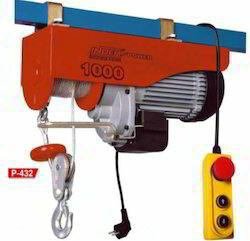 Satjyot's Electric Chain hoist 0.5 MT to 3.0 MT. Offered as hook suspension or with a range of push, geared or dual speed electric trolleys. Mains contactors fitted as standard for increased safety. 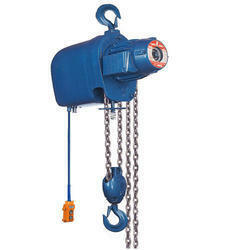 We are engaged in offering a wide range of Chain Hoist in different configurations. Our range of pulleys is extensively used for increasing or reducing the speed or torque. These pulleys are fabricated as per the requirements of the customers. Our product can be easily operated and requires less maintenance and can be availed at competitive prices.